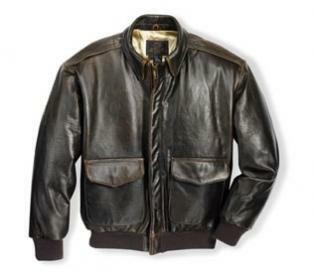 With classic A-2 styling and a 100% antique lamb outer shell, details include top and side entry front pockets, a hidden pen pocket, underarm grommets for ventilation, knit cuffs and waistband, full zipper front under a wind flap, two inside chest pockets, snap down collar and leather epaulets with an all season poly fiber filling. Exciting patriotic two flag embroidered and silk screened lining with other interior vintage accents. Proudly made in theU.S.A.